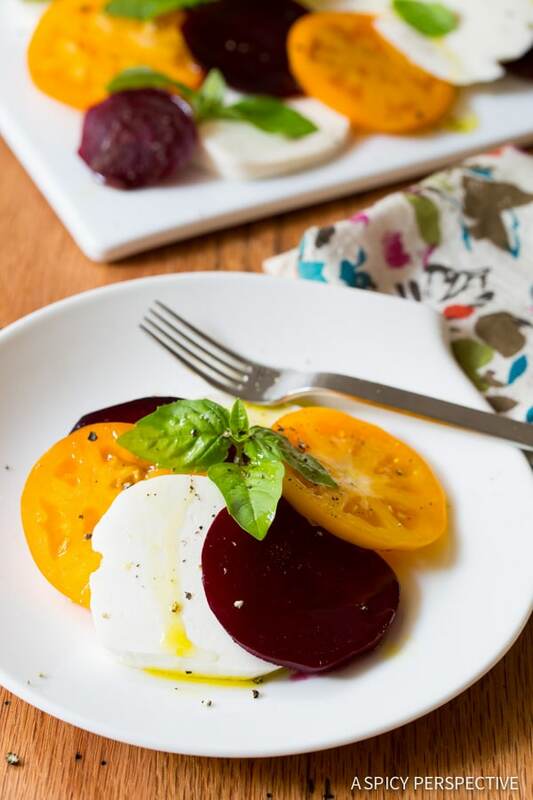 A simple, yet divine, Caprese Salad Recipe with Roasted Beets and zingy garlic vinaigrette. A summer salad to enjoy all year long. This is a platter of sheer happiness. Anything this simple, this fresh, and this vibrant should be enjoyed with a smile… And a glass of wine. Today’s “Summer of Salads” offering is a colorful twist on a grand classic, the Caprese Salad. We love the classic blend of fresh tomatoes, basil and mozzarella so much, I decided to make only two small adjustments in this caprese salad. I added roasted summer beets and a zingy garlic vinaigrette over the top to accentuate the fresh flavors. We roast beets in several different ways to fit certain dishes. 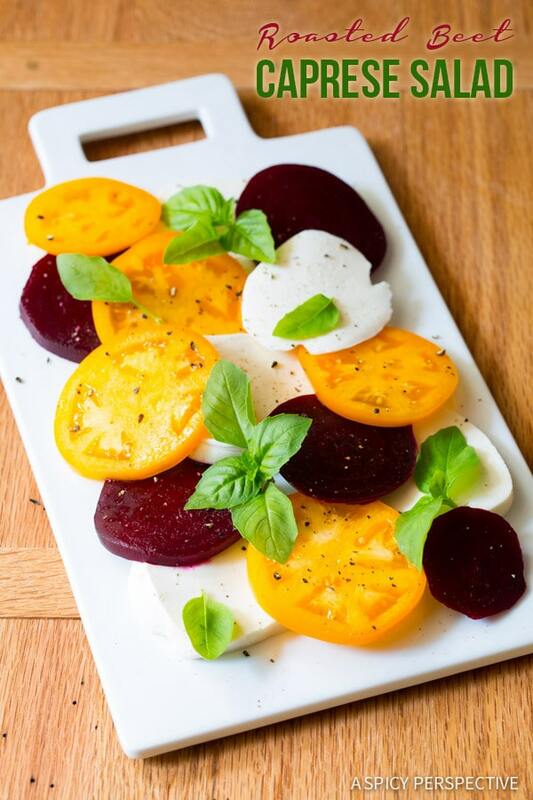 In this Caprese Salad Recipe with Roasted Beets, I wanted the beets to be extra soft and smooth. Therefore I roasted them whole, wrapped in foil to insulate and protect the texture. 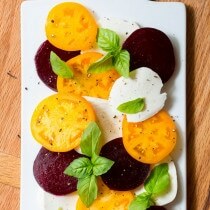 Once roasted, I sliced the beets the same width as the sliced tomatoes and mozzarella for easy layering on a platter. Then I whisked together a quick garlic vinaigrette, allowing the garlic to flavor the dressing. Then right before drizzling, removed the garlic for a smooth finish. A little drizzle over the top and you have a simple summer salad perfect for any meal or occasion. Sometimes I eat this for lunch… All by myself. 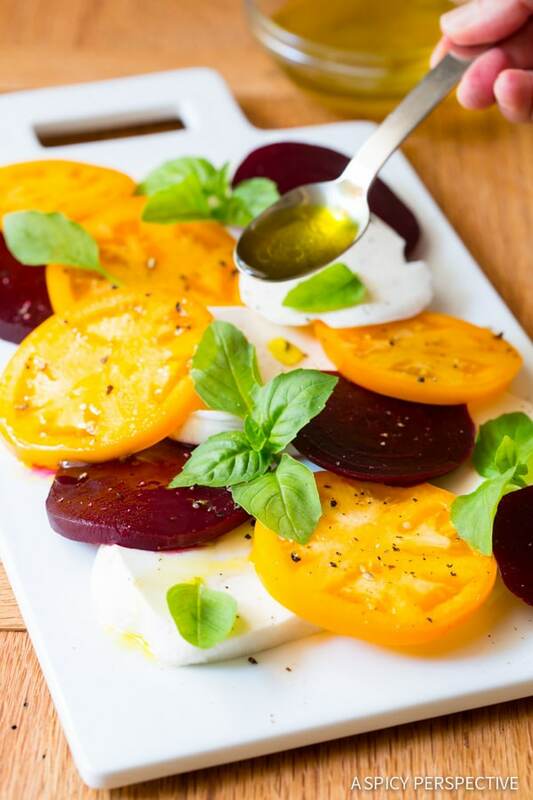 You can serve this gorgeous Caprese Salad Recipe with Roasted Beets family-style on one large platter, or individually plated for an elegant affair. Either way, it will never disappoint! Caprese Salad with Roasted Beets and Garlic Vinaigrette. A gorgeous vibrant seasonal salad that highlights fresh produce at its best. 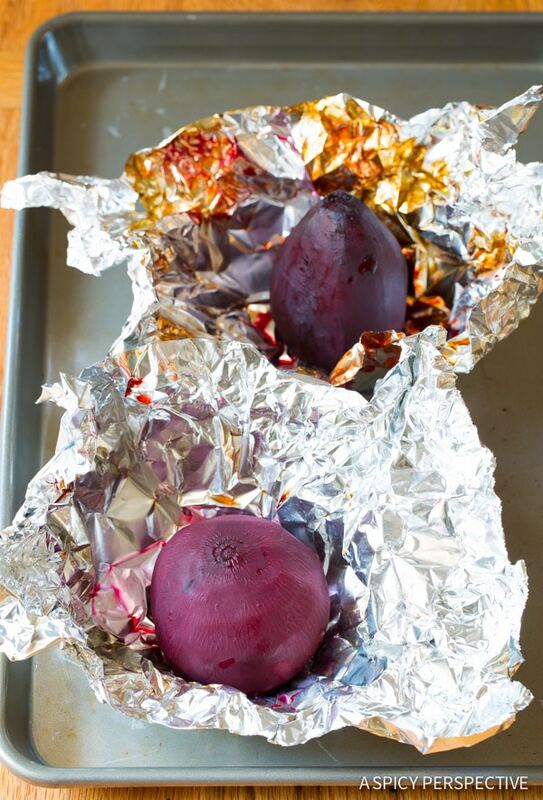 Preheat the oven to 400 degrees F. Wrap both beets in foil individually and place on a small baking sheet. Roast for 45 minutes. Then unwrap and cool a little. 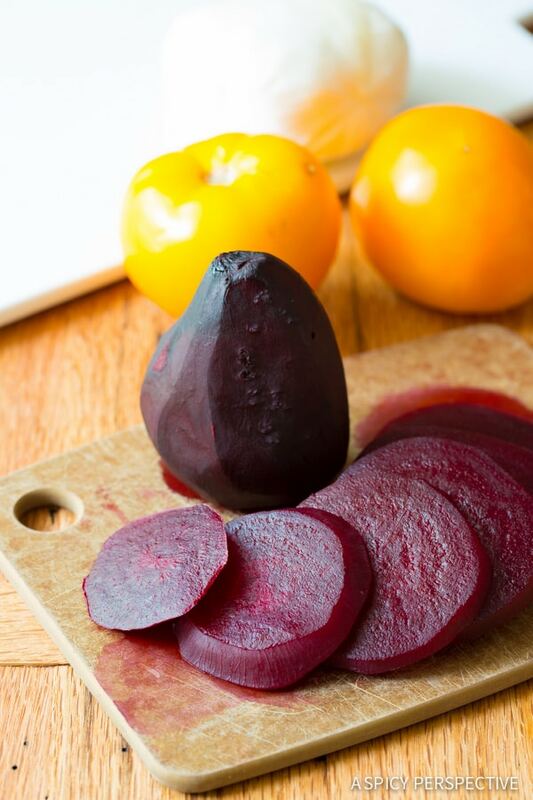 Slice the beets into thin rounds. 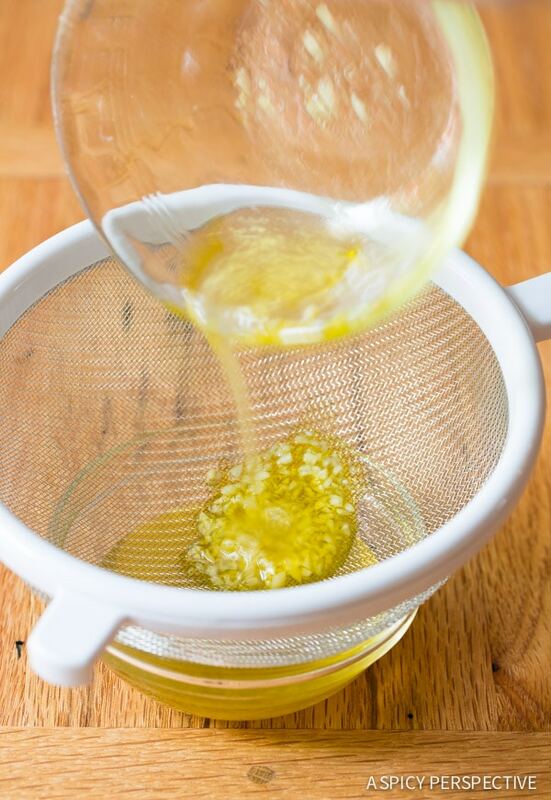 Meanwhile whisk all the ingredients for the garlic vinaigrette in a small bowl. Allow the dressing to sit for 15 minutes, then strain out the garlic chunks. Set aside. Cut the tomatoes and mozzarella balls into thin rounds. 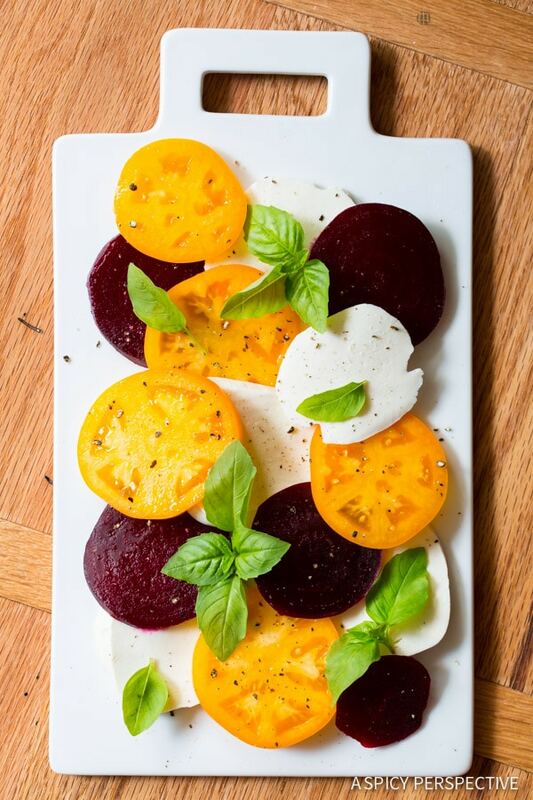 Arrange the beets, tomatoes, mozzarella slices, and fresh basil leaves on a large platter. Drizzle with the garlic vinaigrette and sprinkle with cracked pepper before serving. NOTE: Also try with golden beets and red tomatoes.